For almost 40 years, Louie's Equipment Sales has served Michigan with quality new and refurbished restaurant equipment. Founded by Louie Deroshia in 1968, we are located in Cheboygan, Michigan, and have grown from a small home business to multiple warehouse facilities. We specialize in buying and selling late model commercial equipment. Our repair technicians completely refurbish and test all equipment for proper operation. All equipment is backed by a thirty-day warranty and delivery is available. 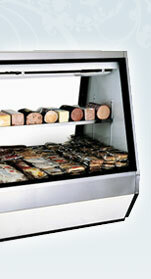 If you are in the market for commercial equipment, we are your resource for quality new and late model used selections. To visit our warehouse today, please contact us by phone or e-mail. Before you buy new, contact Louie's Equipment Sales!